If you're in the mood for a little bite to eat, there's nothing better than sinking your teeth in to our crunchy, crispy onion rings. 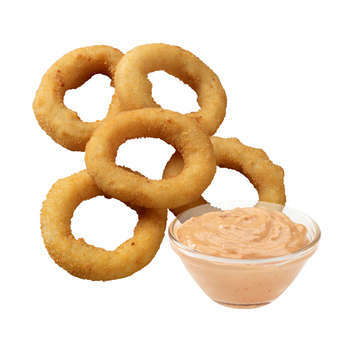 One serving comes with five golden brown onions rings and your choice of mayonnaise dip. Grab one while you can!